This entry was posted in Official Google Blog and tagged Android enterprise on April 16, 2019 by The Official Google Blog. This entry was posted in Official Google Blog and tagged Android enterprise on March 29, 2019 by The Official Google Blog. This entry was posted in Official Google Blog and tagged Android enterprise on March 21, 2019 by The Official Google Blog. This entry was posted in Official Google Blog and tagged Android enterprise on March 18, 2019 by The Official Google Blog. With Android Enterprise, we've always been focused on working alongside partners, like Samsung, to support businesses as they secure and manage millions of Android devices around the world. Samsung has also pioneered advanced security with its Knox enterprise platform, building a deep set of features upon the flexible and enterprise-grade framework of Android. Over the past few years, we’ve worked with Samsung to harmonize our enterprise investments to simplify mobility for customers and reduce duplication. With the introduction of Knox Platform for Enterprise (KPE) in Android 8.0 Oreo, Knox features are now built on top of the core Android Enterprise framework. This means that our validated management partners can now offer a single foundation for customers to deploy Android Enterprise, while adding supplementary Samsung Knox features as they see fit. We’re here at Mobile World Congress this week, beginning the next chapter of our partnership with Samsung with two new joint projects that will enable more enterprise feature management and expanded enrollment options for partners and customers. Today, Samsung announced support for OEMConfig, a new Android standard that enables OEMs to create custom device features and controls that can be immediately and consistently offered by Enterprise Mobility Management (EMM) providers. The premise of OEMconfig is simple: allow an OEM provided app to configure all of the customized OEM-specific features on the device, instead of having EMMs build support for each and every OEM-specific feature in their products. OEMConfig leverages a feature of Android Enterprise known as managed configurations, and is part of the standard published on the Appconfig community. Expansive feature sets like Samsung KPE, which deliver a broad range of security and fine-grained hardware controls, have presented a challenge for EMMs to implement. With OEMconfig, EMMs can now offer their customers a full complement of KPE features on Android Enterprise without having to build the supplemental feature support in their consoles. They can also make these features available immediately as Samsung releases them. To support OEMConfig, Samsung will be releasing the Knox Service Plugin (KSP) app this spring. All EMM vendors that have validated their solutions for Android Enterprise can immediately support Samsung KPE features as they are updated through the Knox Service Plugin app. Android Enterprise offers a simple bulk, over-the-air enrollment method called zero-touch enrollment. Samsung also offers Knox Mobile Enrollment, which provides similar functionality for Samsung devices as part of their Knox Deployment Program (KDP). Both automate device and user enrollment, providing a seamless out-of-the-box configuration experience. While these enrollment methods have been valuable to customers in setting up large Android deployments, it has been a burden for operators and resellers to integrate and offer both services. 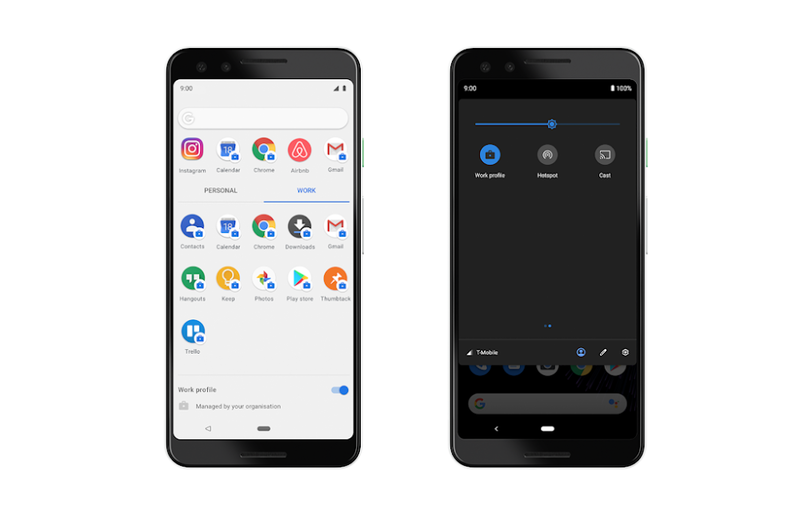 To help alleviate this challenge, Google and Samsung have developed a common client library for service providers with a single set of APIs that will integrate with both Android zero-touch capable devices and Samsung devices. Distribution of the library will begin this spring 2019 with Google and Samsung supporting ecosystem partners as they move to this simplified integration model. By working together to reduce complexity, customers can confidently choose a single foundation for modern Android device management using Android Enterprise. Partners will now be able to offer automated enrollment services, as well as rapidly support feature enhancements like Samsung Knox Platform for Enterprise. We’re looking forward to continuing our partnership with Samsung as we collaborate on improving enterprise mobility for customers. This entry was posted in Official Google Blog and tagged Android enterprise on February 25, 2019 by The Official Google Blog. As organizations increasingly turn to Android as their enterprise mobility platform, we want to make sure they can easily identify partners with experts who are best equipped to support them. 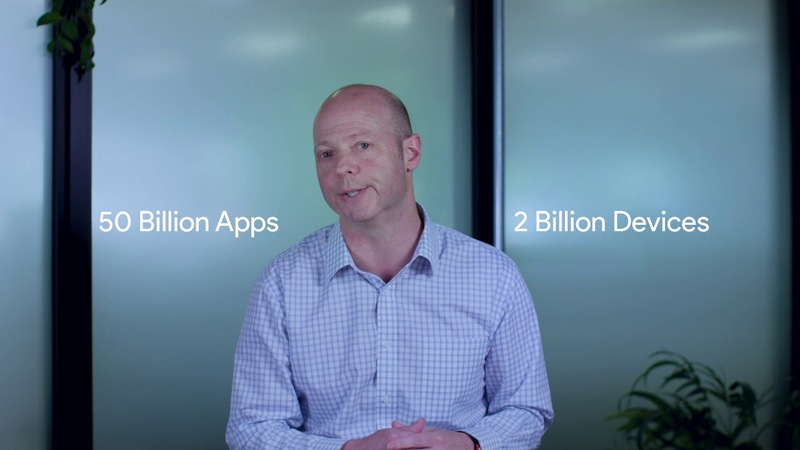 That’s why we’re expanding the Android Enterprise Recommended program to Managed Service Providers (MSPs) and companies with MSP business units who provision, manage and support millions of devices around the world on behalf of customers. Under the Android Enterprise Recommended program for MSPs, validated partners are trained on the latest best practices from Google to help customers simplify and expand their mobility deployments. We’re pleased to announce that Accenture, Brodos, Cognizant, DXC Technology, Econocom, Honeywell Enterprise, Mobile Mentor, Mobility MEA, Offshore Tech, SCC, SHI, Skywire, Stratix, Tech Data and Vox Mobile have been validated as Android Enterprise Recommended partners. Over time, we plan to add more MSP partners to the program. 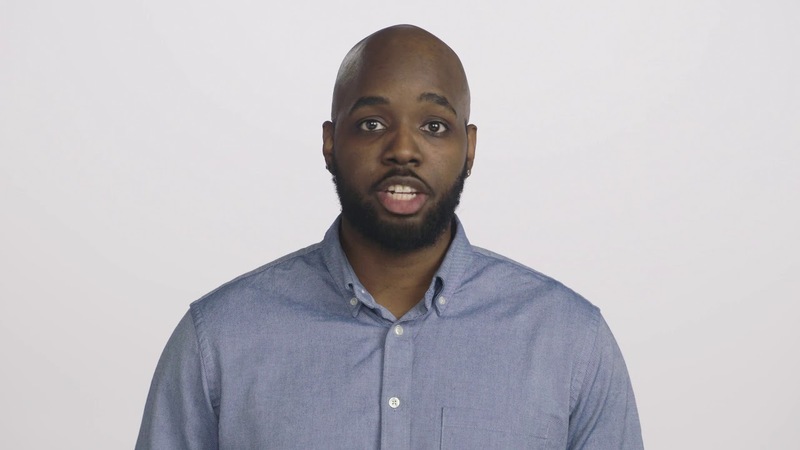 When we launched the Android Enterprise Recommended program a year ago, we set out to make it simple for businesses to find Android devices and services that have been validated by Google for meeting elevated enterprise requirements. Since then, we’ve applied this framework to knowledge worker devices, then rugged devices,and—most recently—services with last month’s launch of Android Enterprise Recommended for EMMs. With each step, we’re aiming to give customers more confidence in deploying Android and ensuring their deployment is as consistent and current as possible. Since Android Enterprise Recommended launched, we’ve received great feedback from customers who are putting the program to use. Research firm IDC found that 82 percent of European Android Enterprise Recommended customers said their devices are more secure and more enterprise grade than other devices. We’ll continue to look for ways to expand this program and consistently raise the bar to help customers get more value from their investment in Android. This entry was posted in Official Google Blog and tagged Android enterprise on February 19, 2019 by The Official Google Blog. This entry was posted in Official Google Blog and tagged Android enterprise on January 15, 2019 by The Official Google Blog. A new year has arrived, and with it fresh opportunities to transform your business. Android can help power a more productive workforce and enhance customer experiences. 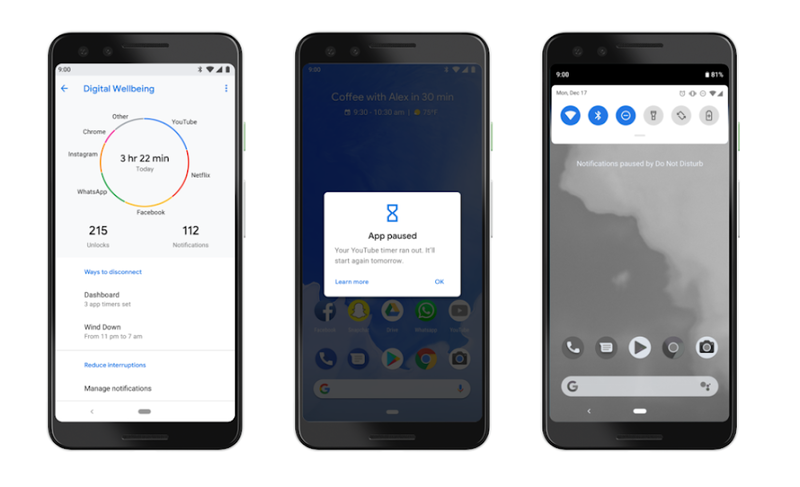 As we look ahead to the rest of 2019, here are a few ways Android can help power a connected workforce, capable of meeting the evolving needs of digital enterprise. Last year we launched Android Enterprise Recommended, which makes it simpler for organizations to select, deploy and manage enterprise devices and services. The program establishes best practices and common requirements for devices and services, backed by a thorough testing process conducted by Google. Devices in the program meet an elevated set of specifications for hardware, deployment, security updates, and user experience. In September, we expanded the program to a new category of rugged devices for more demanding environments, which helps organizations in purchasing and deploying trusted Android hardware. Enterprises are increasingly relying on Android as their go-to platform for rugged mobile deployments, with Android on pace to become the largest rugged OS by shipments in 2019, according to IDC. Strengthening development tools has been central to helping companies grow with Android. We recently streamlined app publishing tools to help enterprises more quickly get the right apps to their employees. And the Android Management API, which came out of beta last year, brings a complete suite of management features for nearly any use case. Additionally, companies are using Android to build great solutions for their customers and enhance team collaboration. Whether it’s Uber deploying Android devices to grow internationally or Pitney Bowes improving office shipping and mailing to expand their business, there are plenty of ways that Android helps companies meet their goals. In 2019, we’re eager to see how companies will use the power of Android to move their business forward. While a new year is typically filled with optimism, it’s likely that fresh security challenges will be lurking. That’s why strong platform security is built into each Android device, backed by multiple layers of protection. In 2018, Android 9 Pie delivered fresh helpings of security smarts. The Android platform uses industry-leading tools like exploit mitigation and sandboxing techniques to prevent bugs from being exploited. And Google Play Protect, the world’s largest threat detection system, is always working to protect devices, data, and applications. The work profile is another powerful security tool, keeping company data in a separate, secure container on the device. Administrators can manage and secure a separate corporate profile and data, while the user gets full control over the rest of the device. And on Pixel and Android One devices, Digital Wellbeing can help sustain an employee’s new year's resolution for a better work-life balance. We’re continuing to invest in Android, and businesses are using the platform to build next-generation experiences for their workforce and customers. In the new year, we’ll continue to work with our hardware, software, services, and mobility management partners, who are building build custom app and device solutions for employees and customers. Our goal is to enable companies to connect every worker from boardrooms, out in the field, to the factory floor. Android Enterprise Recommended is a centerpiece of these efforts, and we’re looking forward to extending its impact in the new year. This entry was posted in Official Google Blog and tagged Android enterprise on January 8, 2019 by The Official Google Blog. This entry was posted in Official Google Blog and tagged Android enterprise on December 18, 2018 by The Official Google Blog.